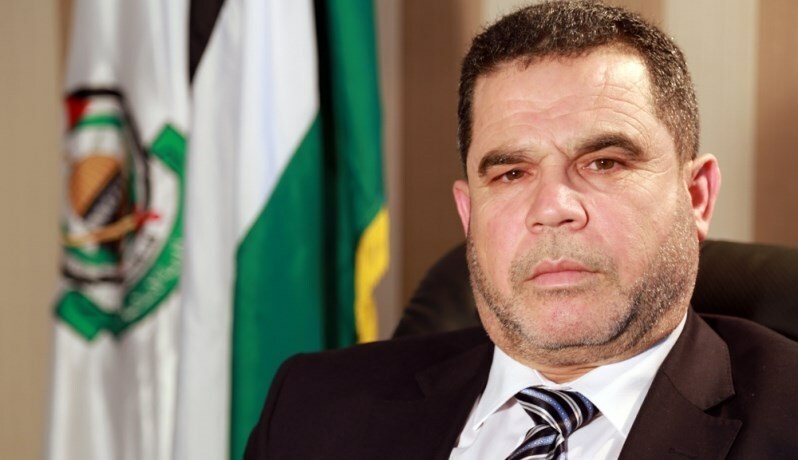 The Hamas leader Nazih Abu Own slammed the Palestinian Authority for arresting the Hamas leader in Jenin Sheikh Mustafa Abu Arra. In a statement on Tuesday, Abu Own said arresting Sheikh Abu Arra by PA security forces is consistent with the PA series of violations of human rights in the West Bank. The Hamas leader Abu Own referred to a number of PA latest violations of Hamas members including chasing the son of martyr Yahya Ayyash for two months, storming the house of the fiancée of Hamas leader prisoner Hasan Salama in addition to continuation of detaining university students as well as a number of ex-detainees released in Wafa al-Ahrar swap deal. Abu Own urged the Palestinian people to condemn and to confront the PA’s offensive practices in the West Bank which have no national benefits and enhance the split. He also slammed the PA for arresting Abu Arra in the meantime which coincides with the death of Riham Dawabshe among a state of high tension among Palestinians due to settlers’ violations against Palestinians in the West Bank. In a similar context, the PA forces arrested two Palestinians on political backgrounds and continued detention of others without bringing them to trials. In a statement on Tuesday, Hamas Movement revealed that the PA intelligence forces in Ramallah arrested an ex-detainee in Silwad after he was summoned for investigation. In Bethlehem, the PA preventive forces rounded up an engineer after storming and searching his house in Teqou town. They wreaked havoc in his house and confiscated his personal belongings. The PA intelligence forces continued arresting two brothers for the 86th day in a row without being brought to trials, while in Tulkarem, the intelligence forces continued detaining four Palestinians for 106 consecutive days. 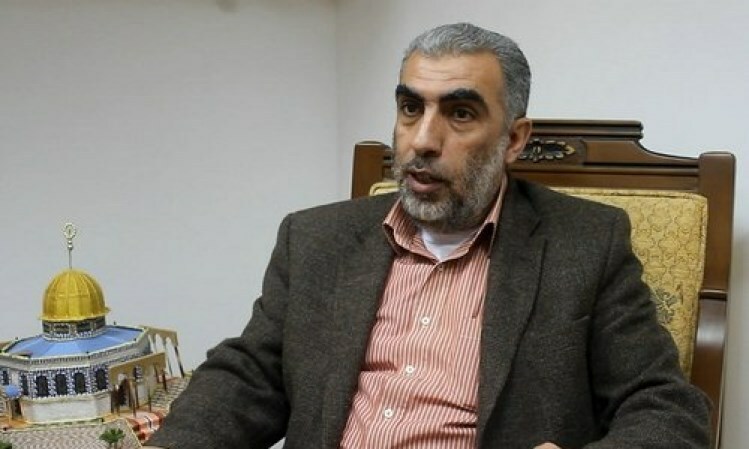 The Palestinian Authority Preventive Forces arrested the Hamas leader Sheikh Mustafa Abu Arra as he was leaving his workplace on Monday. 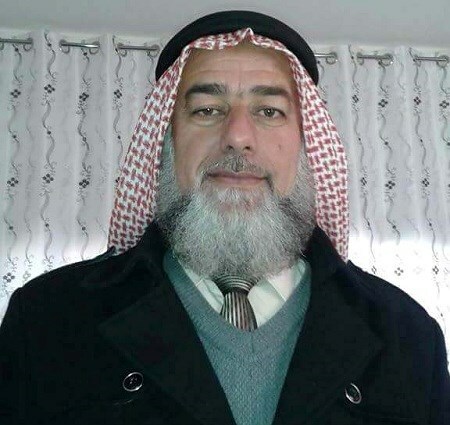 Eyewitnesses revealed that a PA preventive force besieged Aqabah Secondary School for Boys where Abu Arra works and arrested him from the school’s vicinity while heading home. The Hamas leader Sheikh Abu Arra was on sick leave and returned to school on Sunday after his health condition improved. He had a car accident two months ago and suffers a few diseases including problems in the heart and the back. Abu Arra was held on several previous occasions in Israeli jails with a total of five-year imprisonment. He also was detained in the prisons of PA Security Forces. His son, Amr, has been held captive at PA Preventive Forces for a few days without being charged. A number of Palestinian political prisoners in Palestinian Authority (PA) jails have been continuing for several days their hunger strike in protest at their detention with no guilt. In Nablus, prisoners Fadi Hamed and Maher Sheraiteh have been on hunger strike for more than 19 days in al-Juneid jail. Another political prisoner called Nader Jubran, who was arrested by the PA intelligence at the behest of the mayor of Bethlehem city, has been on hunger strike for over three days. In Tubas, prisoner Suhaib Rabie, a student at Birzeit University, started his open-ended hunger strike about eight days ago to protest his illegal detention by the PA intelligence. The PA security apparatuses also refuse to release a number of political prisoners, who are held without leveling charges against them. Prisoner Islam al-Shu'aibi has been jailed by the PA intelligence in Nablus for over 79 days, with no legal grounds, while the PA preventive security in Bethlehem extended the detention of prisoner Ahmed al-Sheikh for 15 days, with no indictment or trial. A PA court in Tubas, for its part, extended, with no due process, the detention of prisoner Amro Abu Ara for 15 days. Hamas on Thursday slammed the Palestinian Authority (PA) security apparatuses for having kidnapped four Hamas backers on account of their political affiliations and anti-occupation activism. 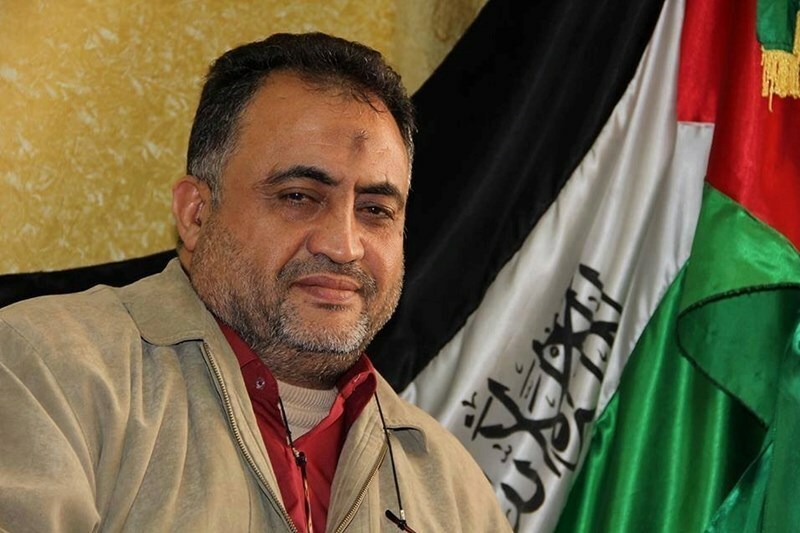 A statement by Hamas said the PA intelligence apparatuses in Bethlehem kidnapped the ex-prisoner Nader Jabran, incarcerated in the Israeli occupation jails for over 10 years. Newly-detained Nader has also been diagnosed with critical and chronic diseases. The PA preventive forces reportedly nabbed the ex-prisoner Ahmad Kassem Al-Sheikh, from Bethlehem’s eastern town of Marah Rabah. The PA forces further apprehended the ex-prisoner Hassan al-Sunam and the youngster Amr Abu Arra after they broke into his family home, wreaked havoc on it, and seized his personal mobile phone and laptop. Meanwhile, the PA courts in the West Bank extended the remand of three ex-prisoners for 15 days allegedly to carry on interrogation procedures. 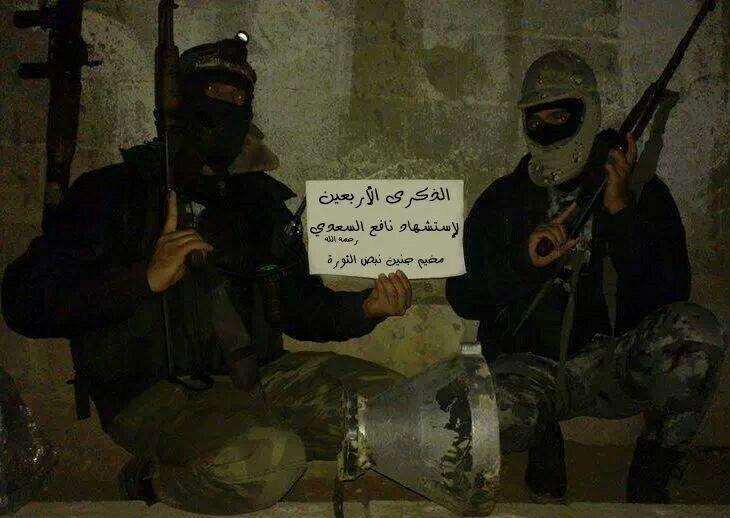 The detainees have been identified as Nadim Sabarna, from al-Khalil, Maher Shreitah, from Ramallah, and Fadi Hamad. Maher has reportedly been on a hunger strike for 16 days and Fadi has been so for the 18th day. 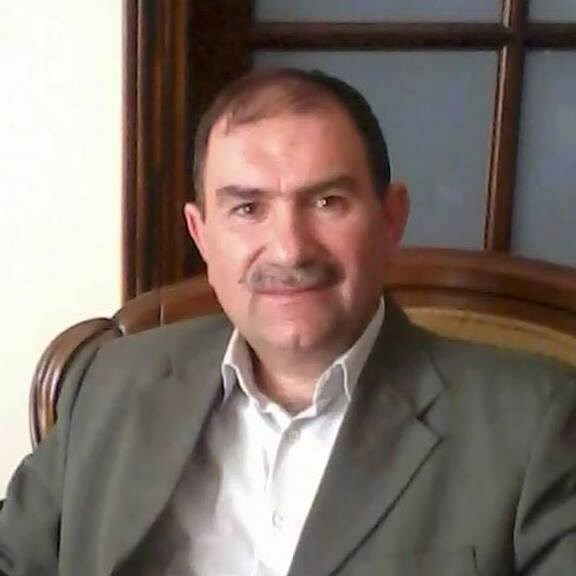 Political prisoner Nader Sawafta has also been held in the PA detention centers in Tubas for 10 days and has been on a hunger strike since the first day of his detention. The statement further pointed out that the ex-prisoner and university student Suhaib Rabie has been on a similar strike for the 6th day running in protest at being held arbitrarily by the PA apparatuses. Meanwhile, journalist Nawaf al-Amer said in a Facebook statement his son Baraa, lately released from the PA lock-ups, had been subjected to harsh torture. “We were shocked after we caught sight of our son’s exhausted body,” the father’s statement read verbatim. The ex-detainee Hani Sharif, 40, has continued his hunger strike for seven days running protesting against his political detention in PA jails, local sources said. Hani, who previously spent 16 years in Israeli jails, suffers from health deterioration as he declared hunger strike since his arrest last Thursday. The hunger striker’s mother affirmed that she was prevented yesterday along with his brother, wife and son from visiting him after receiving promises to let them in. Palestinian Preventive Services (PPS) have earlier broke into Hani’s work place and carried out a large search campaign after confiscating his lap top under the pretext of posting inflammatory materials on social media networks, the mother explained. My son has no relation with any political activity, she continued. Hani was released from Israeli jails in November 2013 after spending 16 years in custody. Popular Front for the Liberation of Palestine (PFLP) hailed the resistance activists in Jenin in the northern West Bank for their steadfastness in confronting an Israeli military operation on Monday evening resulting in arrests and injuries of Palestinians. The PFLP said, in a statement on Tuesday, last night’s operation brought into mind the Palestinian resistance in Jenin’s battle in 2002 when Jenin refugee camp was surrounded by Israeli forces that were defeated by Palestinian fighters who prevented Israeli troops from storming the camp. 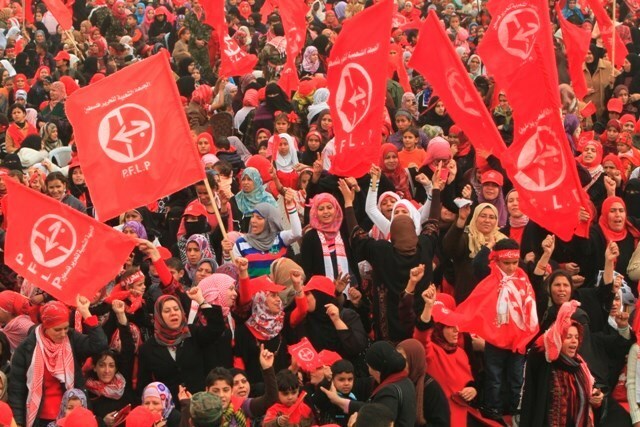 The PFLP called on the Palestinian people as well as the Palestinian factions to stay alerted to Israeli targeting of resistance cells in the West Bank, which aims at weakening resistance actions against settlement establishment over Palestinians’ lands. The front stressed the importance of Palestinian unity of resistance and urged all Palestinian factions to prepare for any Israeli escalation attempting to suppress Palestinian resistance cells in the West Bank. It asked the Palestinian Authority to allow resistance operations in the West Bank and to abandon the security coordination with Israel especially at the current political situation in light of the failure of betting on Oslo Accords as admitted by the Palestinian leadership. Palestinian Authority (PA) security forces arrested four Palestinian citizens for their political backgrounds. 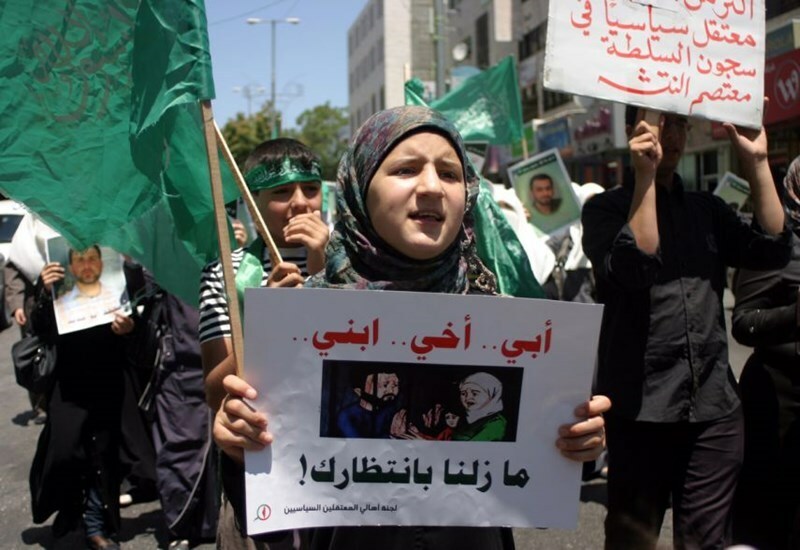 The PA forces refused to release others despite judiciary decisions stipulating their release. In al-Khalil, the PA preventive forces rounded up three ex-detainees and fined one of them up to 3000 shekels. The PA general intelligence forces in al-Khalil are still detaining a university student for the 16th day in a row. In Tulkarem, the preventive forces detained an ex-prisoner from Tulkarem refugee camp in the city. The PA court extended the detention of the Islamic bloc representative in Khadouri University for 15 more days for investigation. The intelligence forces refused to release three citizens including a Hamas leader despite that their release decisions have been already issued. 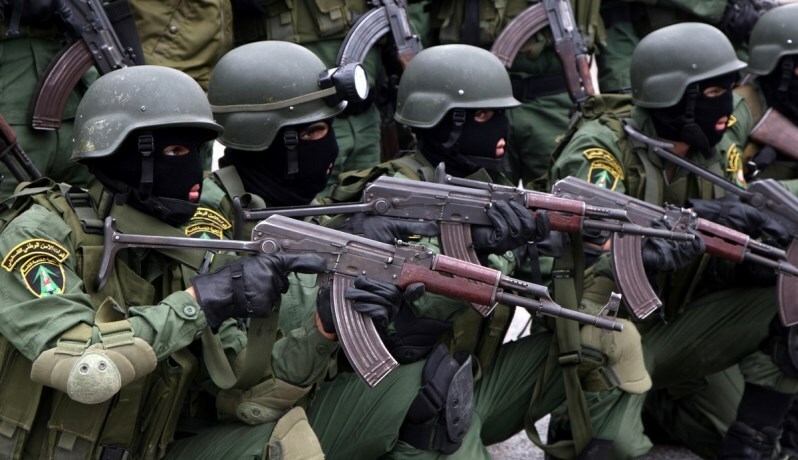 The forces also have been holding five other members of Hamas for three to four months. 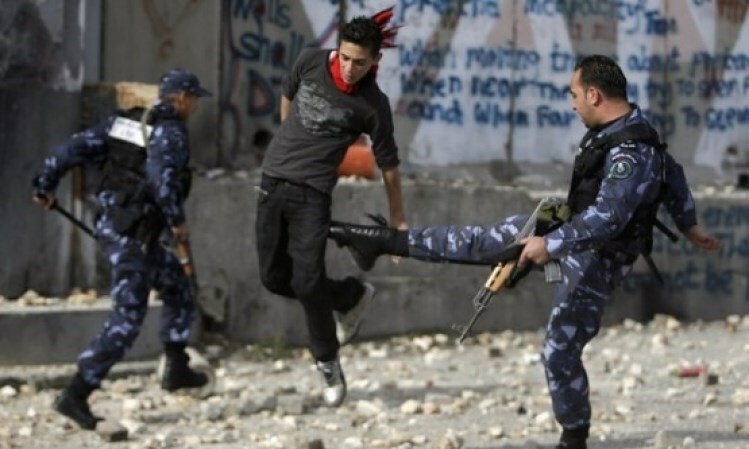 As for Bethlehem, the PA intelligence forces transferred a political captive from Bethlehem prisons to Jericho jails. Another political detainee in Nablus continued his hunger strike for the sixth day in a row in protest against the continuation of his arrest. Palestinian rights group Addameer Prisoner Support and Human Rights Association accused last week the Palestinian Authority (PA) of torturing political prisoners, Quds Press reported yesterday. Francis said that the period between 2005 and 2009 witnessed the “most violent” torture against prisoners, when four prisoners died. She said that there was no question regarding the torture. Adding that cases of torture decreased after 2009 but are still prevalent. AddameerÂ recently filed a complaint against the PA to the UN anti-torture commission after the PA joined the international agreements. University student Salam Al-Araouri, 23, told Quds Press that he was arrested in Ramadan, one and half a months ago, and he was severely tortured. “While blindfolded, I was hit all over my body and I was hit severely in my head until I became unconscious. This happened to me three times,” he added. Other former prisoners narrated similar stories. The Arab Organisation for Human Rights, based in London, described the headquarters of the PA intelligence services in Bethlehem as a “slaughter house” used for torturing prisoners. It called for the UN secretary-general and the ICC prosecutor to dispatch teams to visit PA prisons, mainly the headquarters of the intelligence services in Bethlehem, Jericho and Nablus in order to investigate the daily crimes committed there. The PA denies accusations of torture. No PA official could be contacted for comment. The Palestinian resistance in the West Bank has remained steadfast in the face of the Israeli occupation, Hamas spokesman Husam Badran said early Tuesday. 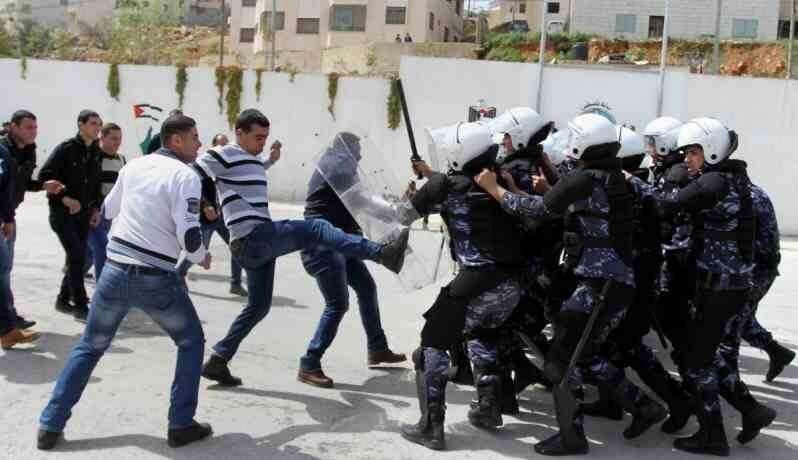 Commenting on the events cropping up overnight in the Jenin refugee camp, Husam Badran said the Palestinian resistance has taken the wind out of Israel’s sail and taught the enemy an unforgettable lesson in the art of street fighting. He hailed the Palestinian resistance fighters who have thwarted the preplanned attack on the Jenin refugee camp and stood firm against the heavily-armed Israeli troops, forcing them to enter into a state of unparalleled frenzy. He further paid tribute to the young Palestinian protesters, who hurled stones at the Israeli troops that crept into the camp, and burned down a military vehicle. Badran called on the Palestinian Authority (PA) to immediately cease security coordination with the Israeli occupation and adopt the choices opted for by the Palestinian people. He said the PA apparatuses overnight Monday stormed the house of the ex-prisoner Majdi Abu al-Heija before he was chased down and kidnapped, along with three family members of his by the Israeli occupation officers. Badran’s statements were released hours after an officer in the Israeli Yamam unit was wounded during a shootout between the Israeli occupation forces and Palestinian resistance fighters in the West Bank city of Jenin late Monday night. What has been going on in Jenin heralds a new revolution to rock the Israeli occupation and its partners in the West Bank, senior Hamas leader Salah al-Bardawil told the PIC at dawn Tuesday. Bardawil said the Israeli assault on the West Bank city of Jenin is a manifestation of Israel’s thirst for bloodshed and attempt to wipe out all forms of resistance. He added that the Israeli occupation attempts to dampen West Bankers’ resistance spirit. He said the Palestinian resistance will make a fresh start in Jenin and other cities of the West Bank. Senior Hamas official Wasfi Qabha has expressed his belief that there are an undeclared orders from the Palestinian Authority (PA) leadership banning his Movement's activities in the West Bank. In press remarks to the Palestinian Information Center (PIC) on Monday, Qabha accused the PA leadership of seeking to eradicate Hamas from the West Bank, and held president Mahmoud Abbas fully responsible for his security forces' violations against members and supporters of the Movement. He underscored that the attempts to end the presence of Hamas in the West Bank are part of the security collaboration agreements between the PA and the Israeli occupation. The Hamas official, however, stressed that his Movement would not stand idly by towards the attempts to eradicate it from the West Bank and would use all peaceful means to stop the unacceptable security practices against it. The Palestinian Authority (PA) security forces on Monday kidnapped six Palestinian citizens affiliated with Hamas and summoned four others for interrogation during raids on homes in different West Bank areas. In Tulkarem, the PA intelligence forces kidnapped two university students from the Islamic bloc of Hamas from their homes. The detainees were identified as Alaa Hamdan and Jawad al-Shalabi. The PA security forces also raided homes in different areas of al-Khalil and kidnapped three citizens believed to be members of Hamas. The detainees are Mohmoud Abu Jehaisha, Diyaa al-Omla and Yousuf Shawar. 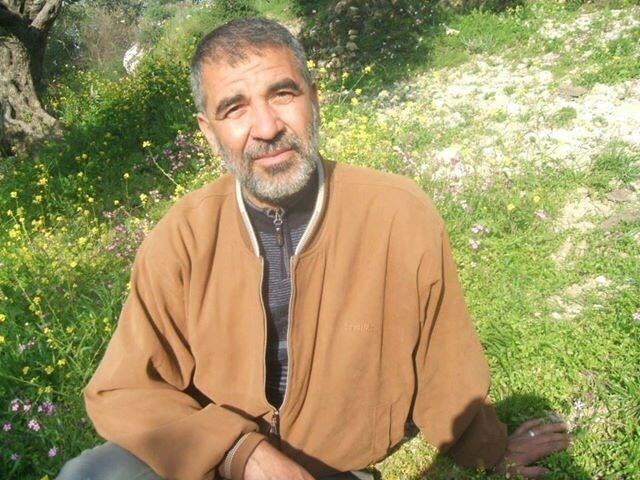 In Nablus, the PA preventive security kidnapped Fouad al-Safadi, an ex-detainee in Israeli jails. The PA security apparatuses also summoned four citizens from Hamas for interrogation in Nablus, Salfit, Ramallah and Tubas. All of them had spent some time in Israeli or PA jails. 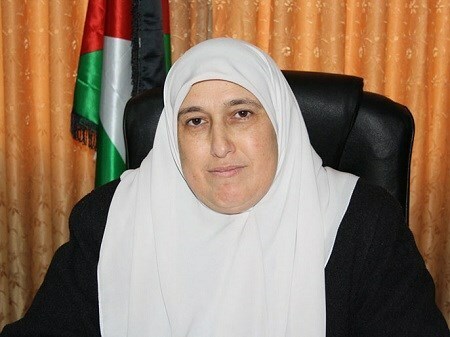 MP Mansour: The PA security practices in the W. Bank "antinational"
Palestinian lawmaker Mona Mansour, from the Hamas parliamentary bloc, has condemned the Palestinian Authority (PA) security practices against the citizens in the West Bank as "antinational and inhumane." In press remarks on Friday, MP Mansour said that "such practices reflect that the PA has lost its compass and is confused about the real enemy of the Palestinian people." She also said that the incidents of raiding homes of Palestinian prisoners in Israeli jails by the PA security forces is considered shameful by the Palestinian people, who struggle for their freedom and liberation from the occupation. The lawmaker added that the Palestinian men and women in Israeli jails must receive all respect and appreciation for their steadfastness and the sacrifices they made for the Palestinian people and must not suffer twice by breaking into their homes while they are in prison. She also underscored that the detainment and torture of citizens and the confiscation of their personal belongings by the PA security apparatuses as part of their security collaboration with the occupation are acts of treason against the Palestinian people and their national cause. Arab Organization for Human Rights in the UK (AOHR UK) urged the European Union (EU) to pressure the Palestinian Authority (PA) into stopping human rights violations committed against Palestinians in the West Bank. AOHR urged civil society institutions in the Occupied Territories to confront the rampant torture at PA detention centers. The report pointed to the PA Security Forces’ recent crime in Nablus during which they brutally attacked Alyan Zamel family, considering it a war crime against people who are supposed to be protected under Geneva Convention. 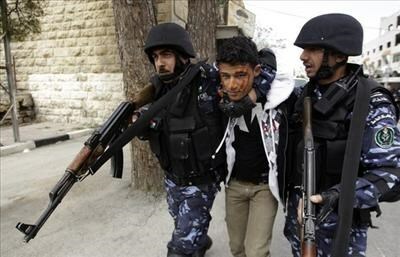 In a separate report, the organization revealed that it had gathered several testimonies documenting many cases of torture over the past few weeks at intelligence centers in Nablus and Bethlehem. Forms of physical abuse included beatings with hands and batons, and lashings in addition to verbal abuse. The Organization held the Palestinian president, Mahmoud Abbas, fully responsible for these crimes and expressed its disappointment over the failure of donor countries, especially the EU, to intervene by halting aid to PA security forces despite documented reports of atrocities committed against Palestinians who are already suffering under Israeli occupation.